Commercial businesses see to it that they are not liable for any misconduct or malpractice of their business management and operations. That is why they make sure that their company is cleared, which means they have complete documents that are essential and mandatory in running a business. 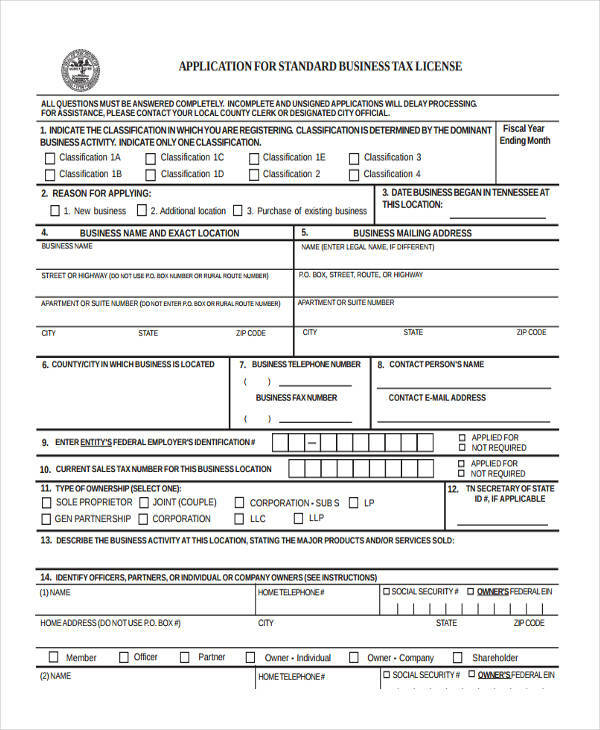 Such clearance forms that they secure are for tax clearances or certificates, security clearances, employee clearance forms, etc. At times, they may be required to answer clearance questionnaires for legal purposes. Further information will be given to you as you go further this article. From medical clearance forms to company clearance, there are many types of clearances available in the business world. A tax clearance certificate if a mandatory requirement which each business company should secure. The reason for this is that this is required in the business’ procurement process. When applying for a tax clearance certificate, there are necessary information that are required for a company to provide. 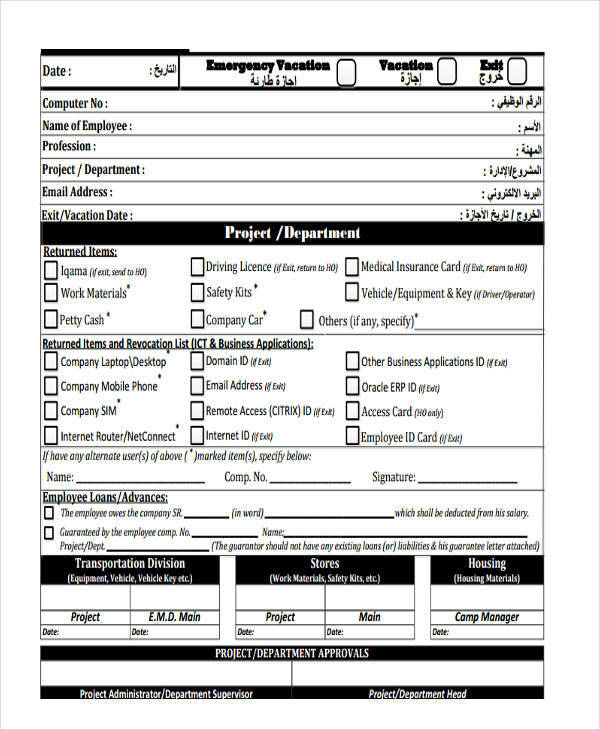 These information are written in the tax clearance certificate application form which will be provided to an individual person that represents the business firm. 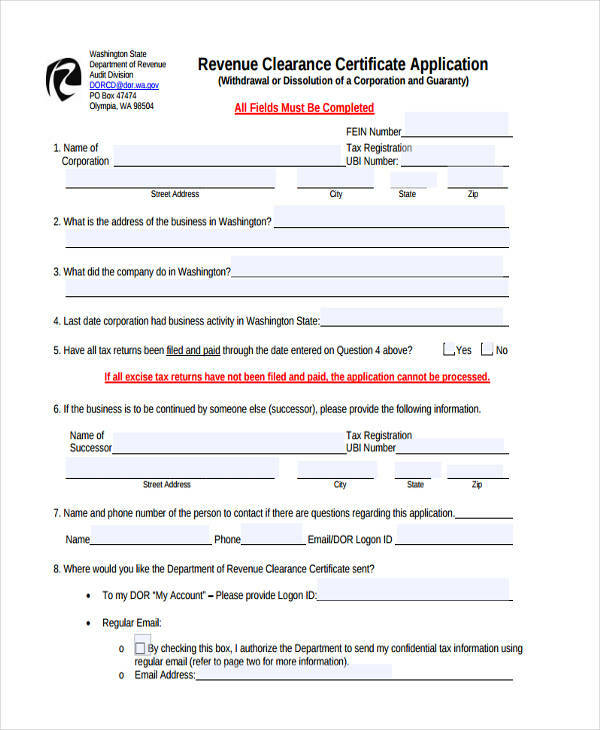 The application form can be obtained from your state’s revenue services or online. If your company is a business that needs to access some classified information of the government, then a security clearance if mandatory and essential for you to obtain. Technically, a security clearance is given to the person or a business firm in which a lot of security background checking has operated. lastly, the permission if applicant is qualified or denial if disqualified. Security clearance could also refer to when an employee exits the company, his or her records are secured even after a resignation clearance form is submitted. 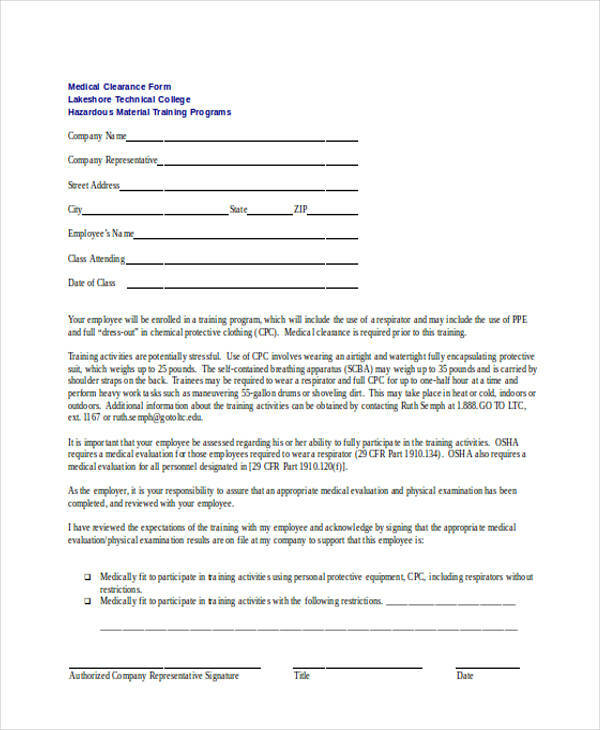 How Does a Company Get a Facility Clearance? A company gets a facility clearance when all the workloads based on the work clearance forms are cleared or accomplished. The workloads are regarding the maintenance of the facilities and equipment that is used in the day-to-day business operations. A facility clearance serves as an evaluation of the facilities and utilities of the business, written in a facility clearance form. This is often conducted when there are certain issues such as property damages that can be solved immediately. But if it does takes a lot time in solving such issues, the company management formulates solutions during their monthly meetings. This is to help them be prepared when the same circumstances occur in the future. What Is a Medical Clearance for Daycare? When a Job Requires a Security Clearance? What is a Clearance Form? 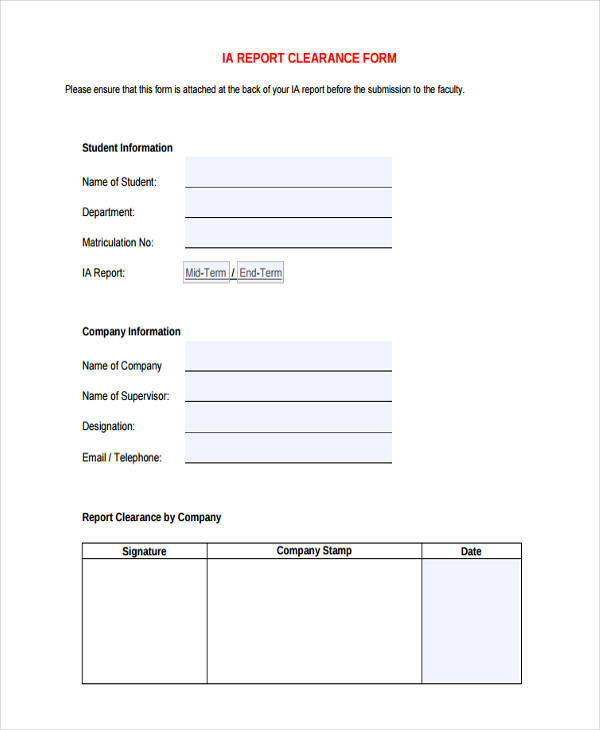 What are Clearance Form for Employees? 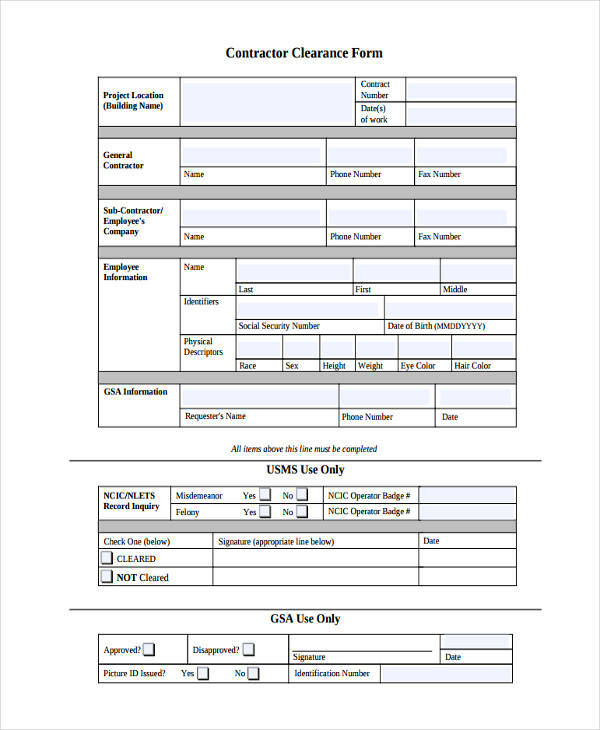 How to Complete the Security Clearance Form?